Exactly when all of us over here need some good news, a shot of positive adrenalin and something to focus upon besides pathetic politicians, war mongering idiots and a warped international media – Emek goes and makes history. We decided to build a Cancer Center. And the modest, underprivileged regional population that we serve came together in a grand day of giving and donated from their shallow pockets 2,680,363 NIS = $682,026. Unprecedented! Clalit Health Services Group (to which Emek is a member hospital) matched the local donations and suddenly Emek had over 5 million shekels or $1.3M to get this project moving. From the states, Galit & Barry Dunietz and the Marwil family joined in this public campaign and inspired everyone by joining hands with us. We accomplished this on December 9th through a highly publicized local radio campaign that saw Mayors, heads of municipalities (Jew and Arab), Israeli personalities, Emek surgeons – physicians and staffers all crowded into a modest radio studio. Volunteers manned a bank of telephones, recording the myriad of donations that began pouring in while people spoke loud and clearly live on-the-air. Watching over all this (from morning until night), like a proud mother lioness protecting her cubs, was Prof. Orna Blondheim, Emek CEO. Throughout the day, I occasionally turned on a radio and listened to the broadcasts … realizing that once again, I was witnessing history in the making. Besides the children, modest families, businessmen and women from across the population spectrum speaking and giving, there were others. Many others. 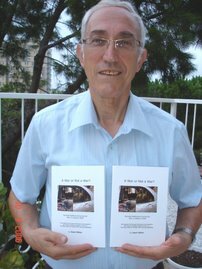 Arabs – Muslims, Christians and Druse, spoke loudly-publically and proudly about the brotherhood that exists here in our Israeli region between Jews and Arabs, with Emek as the focal point. Yes, they said these things live on-the-air for all to hear … that coexistence is alive and well and that the world should focus on what’s happening here on a daily basis between Arabs and Jews, instead of being obsessed with marginal theocrats, murderers and demented power-hungry phonies whose only interests are their own personal counterfeit agendas. Yes, this is history. Eye-level, down on the street reality of life among Jews and Arabs with a powerful inspiring message emanating from villages, cities, towns, schools, kibbutzim and moshavim – all because of a mutual and shared love for a medical center. All this with dignified basic respect for one another. I will never capitulate to the perverted and distorted image of Israel that the international media is forcing upon you. We are the reality. We are the hope. This is so good!! if it can happen in the middle east, it can be done in every other country of the world such as the African and South American continents.